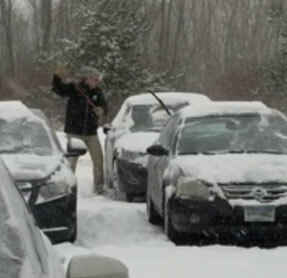 Employees Catch “Best Boss Ever” Cleaning Snow Off Their Cars In 10-Degree Weather. As anyone in the workforce will tell you, a great boss isn’t easy to find. 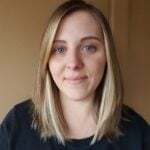 While it’s not exactly uncommon for employers to treat their staff fairly and reward hard work, you don’t often see managers going out of their way to make employees’ lives easier after they clock out. One woman realized just how good she and her coworkers have it when she caught her boss performing a simple act of kindness on camera. Gina Frechette, an employee of the online stationery store, MagnetStreet, recently uploaded a video of her boss’s good deed to YouTube with the caption, “Best boss ever!” It shows the man out in the Minnesota cold, sans winter coat and boots, just before the end of the workday. 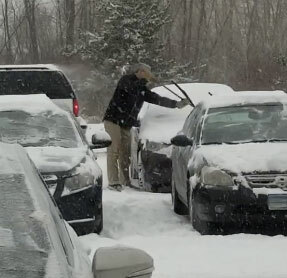 “Not everybody gets to have a cool boss like this,” the woman recording says as her boss uses a broom to brush the snow off his employees’ cars. “Look how nice that is,” another person chimes in. It was about 10 degrees Fahrenheit outside that day, but he isn’t fazed by the cold. 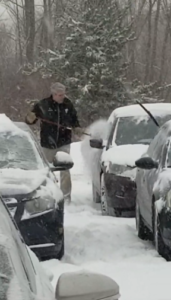 He continues using the broom to sweep off the snow, ensuring his staff would be able to get straight into their cars when the time came to go home. Others who saw the footage commended Gina’s boss for taking the time to do such a nice thing. “What an awesome person!” one person wrote on Reddit. Sure, clearing the snow from your car doesn’t take long, but it’s about more than that. This man is showing the people who work for him just how much he cares— and it’s so heartwarming to see. 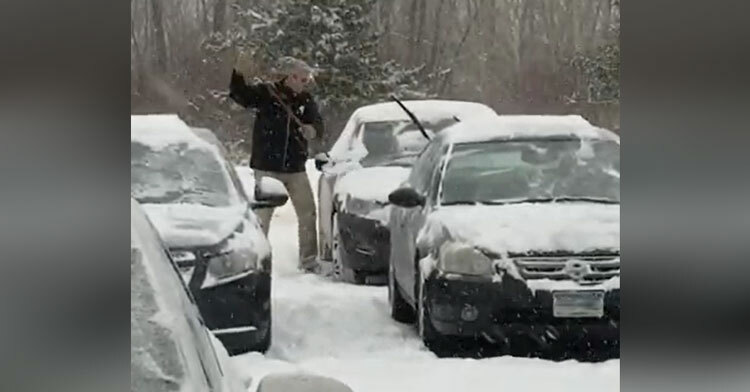 Watch below as the “best boss ever” braves the cold to make sure all his employees’ cars are ready to go. Share to spread the love.